With more international copywriting projects than ever before, I am pleased to announce that clients can now pay in their home currency. Multicurrency services like Revolut and Transferwise greatly simplify the international payments process. Much easier than making traditional cross-border payments in British Pounds. 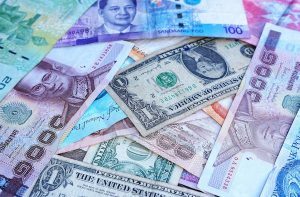 Normally international currency payments are a pain because of expensive bank fees and foreign exchange rates. With all that extra hassle, you may be tempted to choose a local tech copywriter who speaks excellent English. But can they write convincingly in a foreign language? Fortunately these problems are solved when you can pay for tech copywriting services in your home currency. It’s been a funny old year for many reasons – probably because no one seems to know what is happening during this interim Brexit era. But there have been a few positive changes in the world of copywriting – for Tech Write. The past few years have seen a steady stream of requests for copy to accompany infographics and Slideshare presentations. In 2016 I was completing four or five each month. This year I have done a grand total of two. 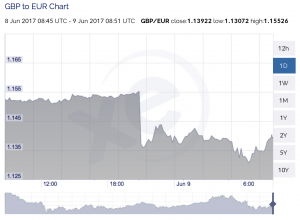 Investors and currency traders wasted no time reacting to the news, crushing the Pound as punishment for British indecision – and their own indecision regarding Brexit.